A new sheriff has arrived in town and the streets will now be safer. By streets, we mean Wi-Fi connections and the sheriff is called WPA3, the new standard for secure wireless connection that will soon spread all over the world. But what does WPA3 mean and why is its arrival so important? What are the advantages of WPA3? When is it possible to use it? Video: what is WPA3 and how will it protect us? I am sure that all of you, at least once, have used a Wi-Fi connection. No matter whether with your smartphone, tablet or PC: If you have connected to a Wi-Fi network, you have unknowingly used the WPA security protocol which means Wi-Fi Protected Access. This protocol is necessary to allow two devices (ideally the router and your PC or smartphone) to handshake, recognize themselves and start a secure and secure data exchange. Since 2004, the system most commonly used to connect two devices via Wi-Fi has been the WPA2, the second iteration of the security protocol that has taken the place of the WPA and WEP standards and that uses an AES encryption system to keep the data exchanged over the network safe. Despite the increased security, the WPA2 handshaking procedure was vulnerable to brute-force attacks of the KRACK type in 2017. The Wi-Fi Alliance, the certification body for Wi-Fi devices, has recently announced WPA3. This new standard will ensure greater security and easier connection. WPA3 will bring many security advantages over WPA2, but not only. Manufacturers will need to implement all the features required to advertise a device as WPA3 compatible, compatibility with WPA2 devices will remain. The security of today's public Wi-Fi connections is a disaster. If you connect to an open network at an airport, bar or hotel anyone may be able to intercept your data since no encryption system is used to connect you to the router. WPA3 will try to solve the problem using individual data encryption called Wi-Fi CERTIFIED Enhanced Open™. If you connect to an open Wi-Fi network, your data will be encrypted even if you have not entered a password when connecting. This will make public networks much safer. Wi-Fi CERTIFIED Easy Connect™ will also arrive with WPA3. This simplified connection system is designed for smart devices that have a limited user interface or no displays, such as Google Home or Amazon Echo. Devices with this feature will have a quick response (QR) code that you can scan with your smartphone to quickly connect this device to your Wi-Fi network without typing the password. 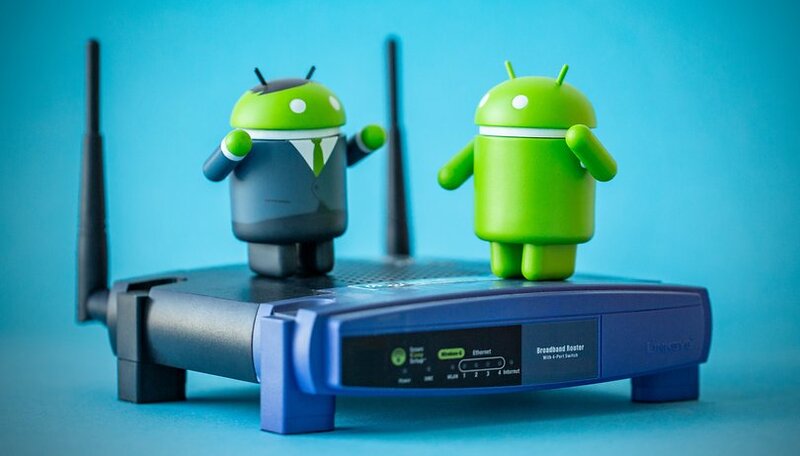 When you connect to a Wi-Fi network the router and your smartphone perform a handshake procedure to ensure that the password you enter is correct and to start encrypting the data to be used during the connection. As the WPA2 handshake is vulnerable to certain types of attacks, WPA3 will try to patch it up. Even if the user has set a password that is too weak, the WPA3 standard will take care to protect it from brute force attacks, i.e. attacks that try to guess the password with various attempts. The WPA3 protocol will be divided into two different variants. The first, called WPA3 Personal, is suitable for home networks and uses the SAE (Simultaneous Authentication of Equals) system to choose secure keys for the connection between devices. This is the protocol that will protect you from brute force attacks. WPA3 Enterprise is designed for networks with particularly sensitive data, such as government agencies, banks, and the like. The protocol offers a security system equal to 192-bit encryption. When will I be able to use WPA3? The first devices can already be certified by the Wi-Fi Alliance and some manufacturers such as Qualcomm are already building compatible chips, although in theory a software update should be able to bring WPA3 to existing products. If we have to go through a hardware certification path again, it is unlikely that we will see existing products updated with WPA3 support, so we will be much more likely to see new equipment being released. Despite having a router compatible with WPA3, to enjoy the improvements you will have to use a device (smartphone, tablet, PC ...) compatible with the same standard. Otherwise, WPA2 will be used again as the WPA3 routers accept both connection protocols at the same time. It will probably take years before all (or most) of the devices are WPA3 compatible, but the introduction of the new standard ensures a future with safer Wi-Fi connections for all. Would you be interested in new smart home gadgets that can connect quickly thanks to Easy Connect and WPA3?